Brace yourself for the pain ahead in a race. Said another way, embrace normal endurance race pain, don’t fear it. The more you expect the normal pain of a race to happen, the more likely you’ll be ready for the pain. You can then more readily adapt to its impact in a race. Don’t waste time hoping that your next race will hurt less than the last race, it won’t. In decades of running, normal pain has been a part of every race I've ever ran. It never goes away. It pays to learn how to understand and manage the normal pain associated with endurance running early on in your running career (I am talking about the normal pain of running a race, not things like actual muscle pulls or like injuries that you can't run on during a race). Instead of worrying or having anxiety about the normal pain of racing, focus on bracing for the pain of a race instead. Evidenced based studies suggest that bracing for pain before the race is a far better strategy and coping mechanism than denying that race pain will happen. In fact, race performance can improve by simply accepting that pain is part of the deal. Pain always co-exists with going after a big goal. Accept this irrefutable premise and focus on going after your goal with all your heart and soul. As you well know, there is a point in every race when you ask yourself, is the pain worth it? Only you can make the decision to give it your all when that question comes. This is the time to dig deep and to think about your unique reasons for running your race. I've never met a runner who regretted giving it their all when this internal question appears. I've met plenty of runners who regretted not giving it their all and digging deep when it mattered most, especially when team goals and championships were on the line. 2. Identify a specific goal in addition to just saying " I'll do my best”. You need specific strategies or reasons for pushing through the normal pain of a workout or race. Do you have a specific goal going into a race? Just saying I'll “do my best” is not enough. Sure, you want to do your best, that is all anyone can ask for. However, what does doing your best really mean? You have to define what this means to you prior to a or at least during the race. Having a specific goal like I am going to break 17:00 minutes for example is specific and a worthwhile goal. It gives your mind a specific target to go after. In a race a couple of weeks ago, one of our athletes had a huge PR. In fact, he had a PR by almost one minute in a 5k. During the race, I shouted out the truth to him. I said: “you are running way under your PR (personal record), keep that pace and you’ll get a new PR”! This athlete told me later that my comments highly motivated him and gave him the extra incentive to push all the way to this finish line. Find your own motivating factors or “goal” that motivates you to run a new PR. "Do your best" to reach your specific goal. In study after study, and in my own experience, those people who set specific goals outperform those who don't set clear goals. Doing your best must have a more defined outcome like "my goal is to finish ahead of all five varsity runners from the other cross country team". I like that goal! Listening to music reduces the perception of effort of running and other exercise. Reducing your perception of effort is a good thing and is scientifically proven to increase performance. If you have ever run on a treadmill you get this concept. Listening to music distracts you and helps the time “go faster”. You can't listen to music in a race. However, you can listen to music in most warm up activities. Athletes who receive constructive positive feedback from coaches perform much better than those who don’t. One of the best times to give and receive positive reinforcement, is just prior to a race or during a hard workout like a 400-meter workout we had last Saturday. Some members of the team I coach absolutely went to a new level on the mental strength scale after their workout last Saturday. Many of the student-athletes did more reps than they initially thought they could. Doing more than you thought was possible is a good thing and helps you reach your goals and the next level. All give some, some give all is a true statement. It is not just a cute metaphor. Most endurance champions give just as much credit to their mental preparation as they do their physical preparation. Endurance champions run with heart and leave nothing at the finish line. They do this by running with their head the first part of the race (by not going out too hard) and by running with their heart the second part of the race. Why is it that when a runner sees the finish line he or she has something left in the tank for a final sprint? From a mental standpoint, the runner “sees” that they only have a short duration until they finish the race. The short distance to the finish line motivates the runner to give one last effort because the duration of the final sprint seems short in their mind. All of a sudden, the runner appears to tap reserves that were saved for the final sprint in the race. What if you could tap into some of your energy reserve tank in the last part of the race instead of just the final sprint? How do you think this would this change the outcome of your race? If you can find a way to tap into your energy reserves mid or late in the race you’re much more likely to run a PR. The reserves are there waiting to be tapped. You just need to find ways to activate your reserve tank before the final sprint to finish line. Tapping into your reserve tank in the middle or at the end of a race is a balancing act between physiological and mental factors. You don’t want to deplete your physical resources by going too fast in the beginning or middle of the race but you don’t want to go too slow either. In addition, to run better than you’ve ever run before you must find the courage, or some would say guts, to tap into those reserves long before the final sprint of a race. By practicing certain mental and physical workouts in training, it’s possible to reduce endurance fatigue by tapping into your reserves before the finish line. 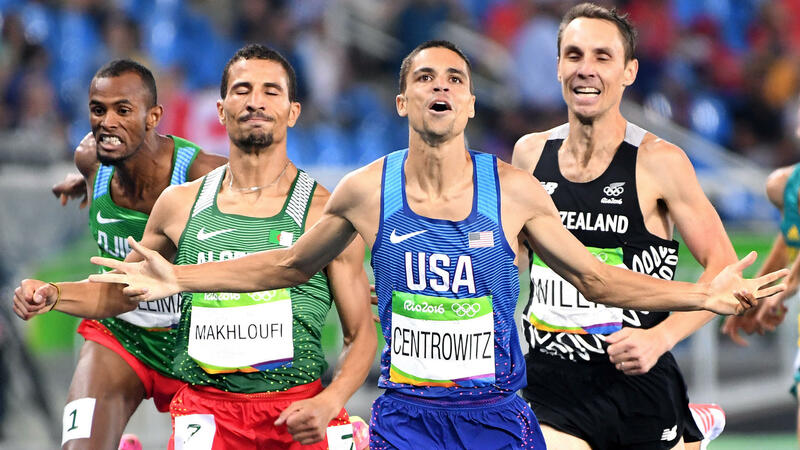 Teaching runners to “see” the mid and late parts of a race like the final sprint to the finish line is one key to a breakthrough. Philippians 4:13 is my go to verse on mental toughness when I am in the midst of a hard battle near the end of a race. It helps me to "run from the heart" in the mid and late parts of a workout or race. This Scripture has unlocked the doors to many of my own personal achievements over the years. Believe in your God given ability and follow the principles outlined in this post. If you do, then your much more likely to do more than you ever thought possible.